If you arrive early and have some free time Monday evening, come say hello to the CMI team. We’ll be hanging out at Eliot’s Bar at the Hilton Cleveland Downtown. 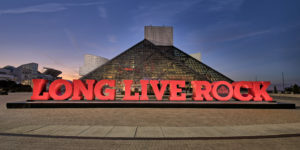 Join us for a fantastic evening of fun, food and networking at the legendary Rock & Roll Hall of Fame. 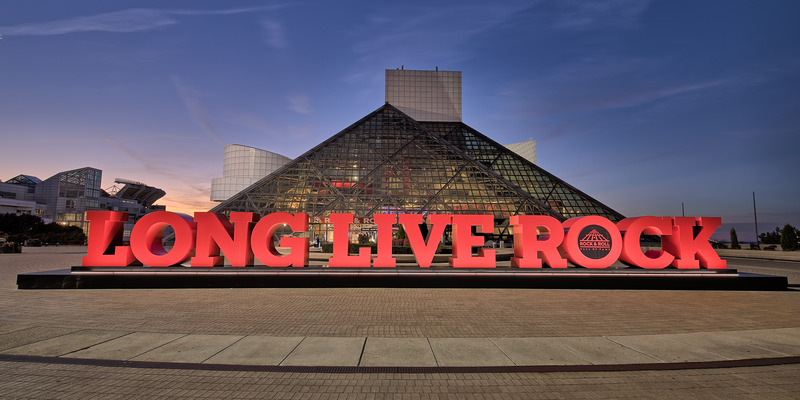 Get some exercise and enjoy some of the city’s biggest attractions — the Rock ‘n Roll Hall of fame, Lake Erie, the Browns stadium, and more. Join us for a 3-mile run or 1-mile walk. Meet our team captain, CMI Creative Director, Joseph Kalinowski, at the Lakeside entrance of the Huntington Convention Center. Let us know if you are interested on our Facebook event page. Start your day with mindful meditation and exercise and join us for early-morning yoga. We’ll meet inside the Huntington Convention Center — please use the Lakeside entrance. All skill levels are welcome. Namaste! Let us know if you are interested on our Facebook Event page. We couldn’t host an event with a game theme and not have some skee-ball fun! Go head-to-head with other marketers to see who goes to the top of the leaderboard! Our Wednesday mid-conference night out will take place at House of Blues Cleveland where we’ll dance the night away to Your Generation in Concert, a live multimedia spectacular celebrating 5 decades of pop, rock, dance and R&B hits. We look forward to singing along and dancing with this 8-piece tribute band! New this year: House of Blues Karaoke! Join Joe and Pam Pulizzi at Pickwick & Frolic on E 4th street for a night of networking, food, and drinks from 6 to 10 pm. Your badge is your free admission! Want a quick dinner before the Orange Night out or prefer a quiet night dining with a few friends? The CMWorld team and Destination Cleveland have worked together to get you a deal on dinner Thursday night! Head down to Cleveland’s East Fourth area and enjoy food and drink at a discount! Just remember to bring your badge as that is the only way to qualify for the deals! Show your Badge dining discount list of restaurants here. And as always please check out our CMWorld Twitter chats! Want to discuss the latest trends in content marketing and get advice from some of the experts? Each week join CMI (@CMIContent) and a guest as we discuss key content marketing topics. Simply follow #cmworld on twitter to join the conversation. See the full schedule and more info.